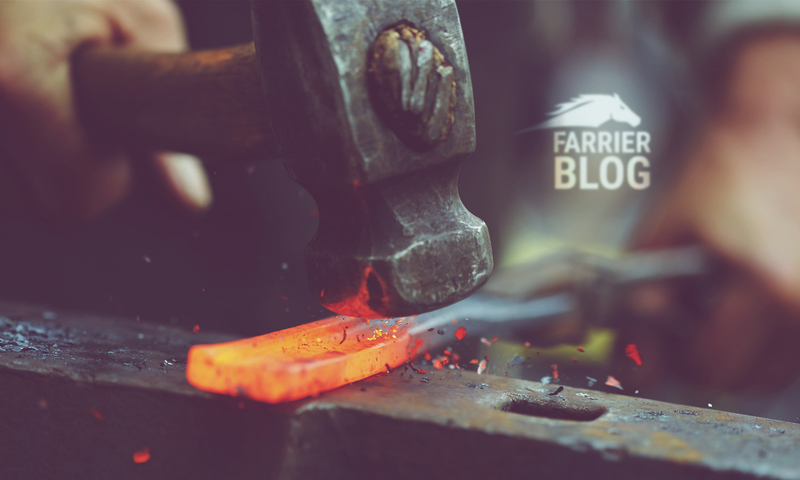 The focus is usually on farriers being big and strong. For sure, the need for muscle is important to be able to do the job competently day in and day out without collapsing in a heap (and even then, many of us have been known to collapse in a heap anyway). A farrier being able to work physically efficiently or having developed smart ways to do various parts of the job will help tremendously. Brute strength isn’t always the best way to get a job done of course – doing something correctly and efficiently can help a farrier conserve energy and either mean we get an extra horse done per day or better still have enough energy at the end of a day to spend time with the kids/family/on our own recreation. Along the same lines, physical fitness is in my opinion something that is overlooked by farriers. Anybody who’s done the job for a while will realise that farriery won’t actually keep you fit – not in an overall sense anyway. Yes, we get strong, build some muscle (in some parts of the body) and get “shoeing fit” – meaning we can get through a busy day of shoeing. But that doesn’t mean we’re healthy or necessarily fit. A farrier who does little physical exercise other than shoeing might struggle to do a 20 minute run or walk up a steep hill without puffing. I met a self employed gardener quite a few years ago who said he liked to go for a run after work. He was very physically hard working during the day so I didn’t at the time fully appreciate where he was coming from. Surely, a run after doing a hard days work would be the last thing he needed (or maybe he wasn’t actually working hard enough if he had enough energy left after work to go for a run I thought). But I’ve come to appreciate where he was coming from. Indulging in some phyiscal exercise of the none work variety can help clear the mind, release some of the physical tension from the daily grind and importantly for farriers, work wonders for our backs. And being in good physical shape can have a hugely positive impact on our work and personal lives. Being supremely fit isn’t something we’re all going to realistically achieve. But getting rid of some of the belly, improving core strength and giving the parts of the body that farriery doesn’t reach is something just about all of us could and should do. Over the past few years, I’ve bounced around from being supremely fit and healthy to being overweight and feeling like crap (I have some work to do again at the moment!). I have struggled with getting the right balance of work and exercise but know how important it is to get them both going at the same time. I’m going to succeed on being successful and healthy! Are you doing the same? This great advice for farriers. I would also add that stretching is very important. A quick stretch in the morning can help prevent that sudden movement on the part of the horse from becoming a long term injury. I left the farriery profession for a 2-3 years due to burnout. During that time I worked as a whitewater kayaker videographer, boating as many as 74 miles a week) getting in the best condition of my life and made exercise a part of my lifestyle. Now that I am going back into the trade I am going to bring this knowledge to the horses on my books. Horses now look differently to me as I can better interpret their postures, I pet them more and pay attention to how they react to my touch as I understand how good a rub feels on a sore neck. The benefits exceed just the physical realm; exercise increases the circulation in the brain as well. I am the most creative when my body is operating in what feels like “fifth gear” and solved many work problems while running on the trail. Well written, informative article on a very important, overlooked subject in the industry. The before (or after) work run/swim/rock climb to anyone looking to upgrade their business and life. Next PostNext What is causing my horse to stumble?